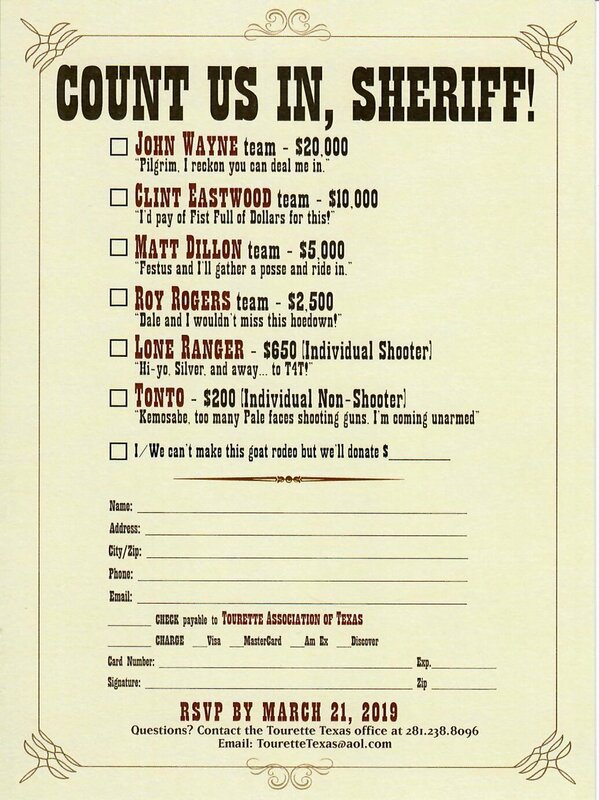 Don’t miss the best little clay shoot in Texas, supporting Tourette Texas! 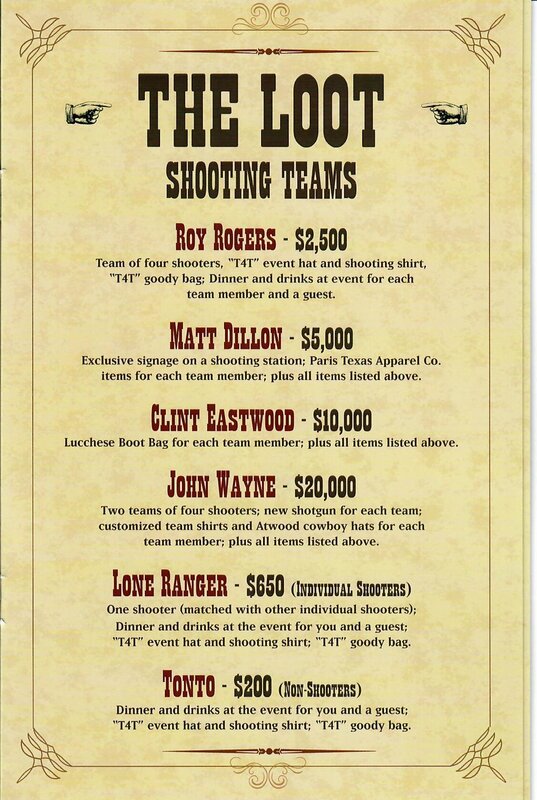 Teams of 4, individual shooters, and dinner/dance only tickets now on sale! Email TouretteTexas@aol.com for more information!